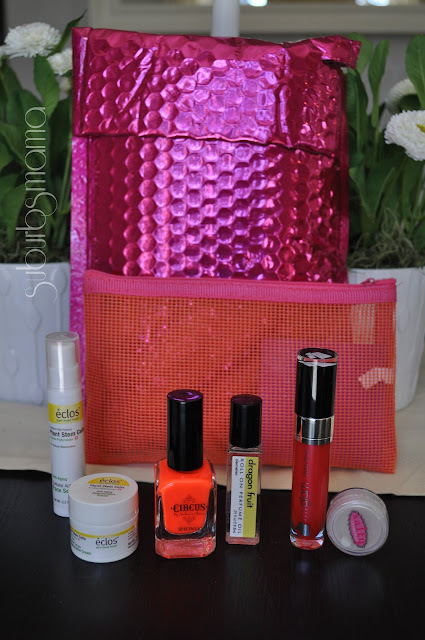 You all know how much I love getting my Birch box every month, Well I decided to try out the My Glam Bag. It is basically the same thing as birch box, but with my glam, there is no store and no option to review your items for points. This lightweight serum helps wake up skin's self renewal process to revitalize fatigued, stressed skin. Unique plant extracts help boost firmness and tone to smooth out fine lines and damage. Exclusively formulated with rejuvenating Apple Stem Cells, clinically proven to significantly reduce wrinkles and improve skin texture in two weeks. Comfrey, Gotu Kola, Tumeric and Green Tea antioxidants shield against skin aging environment assaults, helping to prolong a youthful appearance. This medium-weight moisturizer with restorative benefits helps smooth and brighten for a youthful finish. Hydration replenishes dry, dulling skin suffering from the signs of aging. Powerful extracts and antioxidants boost collagen levels for noticeable tightening and firming. Exclusively formulated with rejuvenating Apple Stem Cells, clinically proven to significantly reduce wrinkles and improve skin texture in two weeks. Formulated without parabens, sulfates, synthetic fragrances or dyes, mineral oil or petroleum. I am a big fan of skin care. I have seen this brand before, but never actually tried anything from the brand. I will definitely try both of these. When I use them up, I will have them in my used up products and let you know what I thought about them. Neon Orange is Not a color I would wear. I think I will give this away to someone. Dragon Fruit is created with leafy green notes intertwined with juicy Dragon Fruit, citrus zest and soft floral and wood hints. Clean Skin is a blend of orange, lemon, white rose, bergamot peach and vanilla, making the perfect shower-fresh scent. I am not a fan of this scent. It reminds me of some cheap body spray. It actually makes me feel nauseous and light headed. This shadow is perfect for all skin tones and works as an amazing highlighter for brow bone and inner corners. I am not a fan of loose eye shadows, I feel that they go all over the place and don't last very long. I swatched this and I am not impressed :(. This is going in my give away bag. My Glam Gloss. This was an extra in the bag. I did not like this lip gloss. It felt sticky on the lips. So what is the verdict? I am not impressed with this bag. I only like 2 out of 6 items. I went ahead and canceled my subscription. I felt that these are not high end samples, and not worth my $10. Do you subscribe to My Glam? What are your thoughts? I deleted my account today also. I have been getting it for three months and it doesnt get better I think they are worth the ten a month but I just found out about something called Glossy Box that I am trying out. I also canceled my Julep Maven to get the Pop Sugar one. Let us know if you try any others. 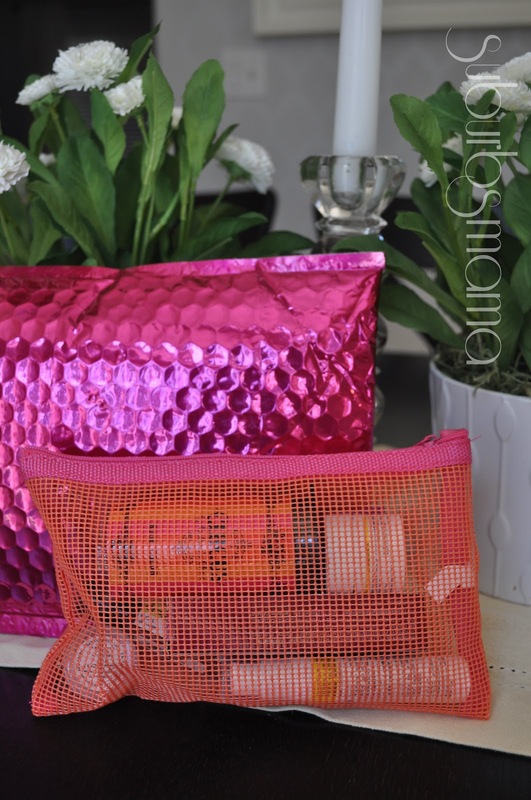 PS I love Birch box and your blog as well ever so Chic!! I've been contemplating my canceling my subscription, too. I like my Birchbox items a lot better than these. I may give them another month just to see if it gets any better, though. HI Rita. I just found your blog and I just want to let you know that it's wonderful. I think you are a very creative mom and I love your style of raising your kids. They are adorable! I also love your recipes. I'm not a cook, so it encourages me to start more cooking.